From vineyard to biergarten courtesy of VINE RE DESIGN. 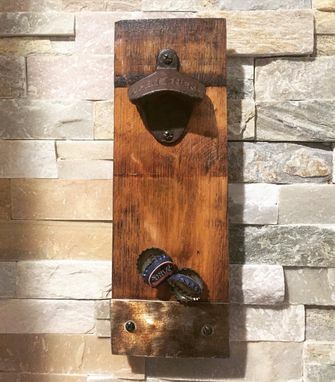 This handmade item will bring to your favorite room the unique touch of a vintage Beer/Wine Barrel. Friends gathered for a tasting. Your favorite brews ready to pour. 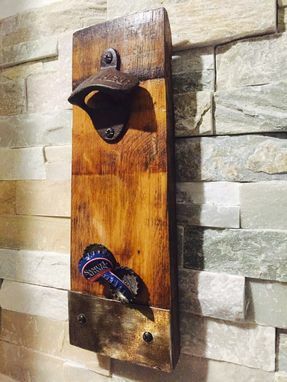 Each bottle opener is made from gracefully arched vintage wine barrels. Turn it over; it still bears the color of the grapes.